A tax expert from City, University of London has been named among the top ten global tax influencers. Richard Murphy, a Professor of Practice in International Political Economy, is ninth on the annual Global Tax 50 list, compiled by the website International Tax Review. The City academic was recognised for major contributions in the fight against aggressive tax avoidance which are now helping to bring about significant policy change. 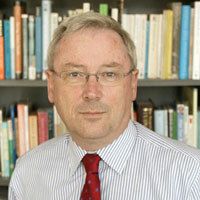 Professor Murphy’s work reached a milestone in 2017, when the European Parliament voted to adopt his 2003 idea of “country-by-country reporting” (CbCR). Writing on his blog, he said: “I am grateful to them for putting me at number 9. I’ll be even more pleased when we get public country-by-country reporting. Professor Murphy, of the Department of International Politics at City, has featured in the Global Tax 50 in six out of the last seven years. International Tax Review says the list provides a rundown of the most influential individuals, organisations, geopolitical events and trends in the tax world. CbCR is a policy where the public, not just tax authorities, get access to companies’ financial data in individual countries. Professor Murphy is currently working with City colleagues on a major research project, COFFERS, which aims to expose the scale of tax abuse and money laundering in the European Union. It is one of the world’s biggest current research projects on tax abuse.